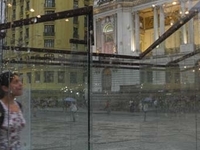 Travelers are voting Escadaria Selaron and Robert Morris Sculpture as the best sculptures in Rio de Janeiro. You can find 2 sculptures in Rio de Janeiro NCR and 2 sculptures in the country of Brazil. 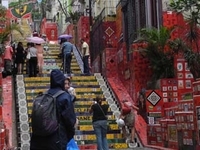 Our members favorite in Rio de Janeiro NCR is Robert Morris Sculpture and Escadaria Selaron is the top pick in Brazil. Want more? Check out our map of sculptures in Rio de Janeiro.